Summer and cocktails go together like margaritas and Mondays. And after a sweltering heat wave, we all deserve a seasonal sip. 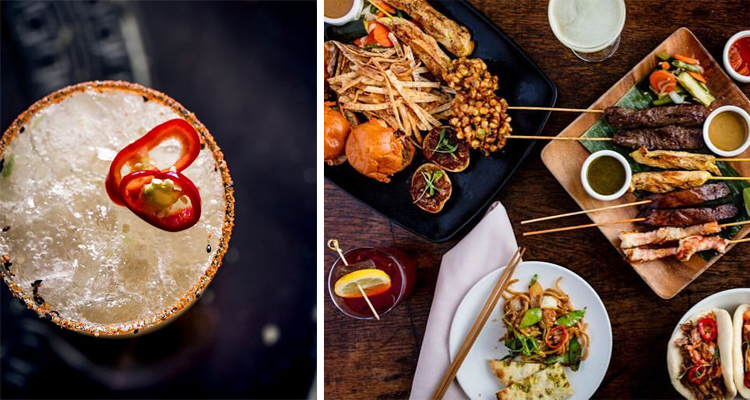 In San Francisco, it’s not hard to find some of the country’s best food or the hidden gems serving the Bay Area’s best cocktails. The trick is tracking down the beverage that pairs perfectly with warm weather and the refreshing vibe of the season. 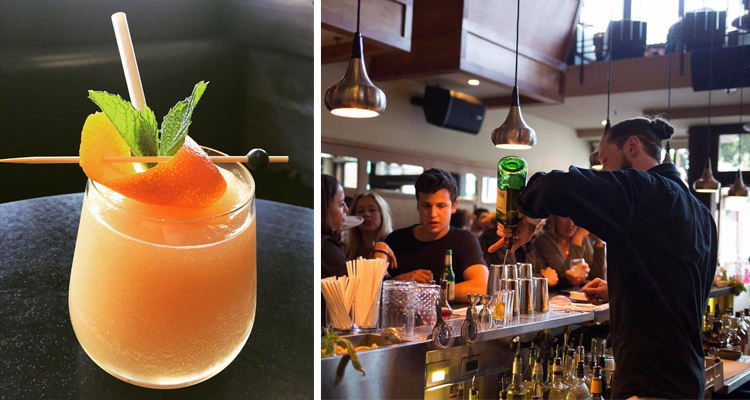 To help you in your search for that ideal cocktail, we put together a list of the city’s most sunny drinks at a few of the best bars and restaurants in SF. 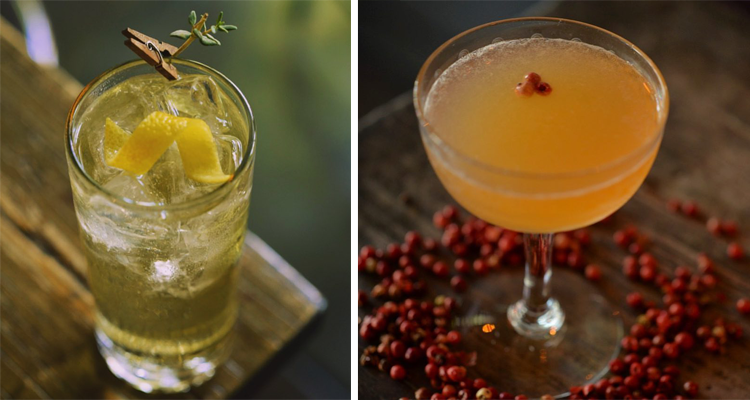 Take a cocktail tour and let us know which drink you’ll be enjoying all summer long! 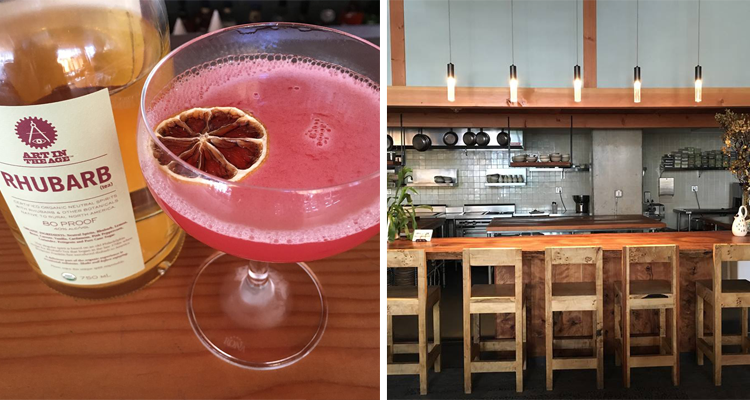 Laszlo made our list of the Bay Area’s best cocktail bars so you know their summer menu is going to have something delicious! Inspired by the Eastern European film and Cinema Verite decor of Foreign Cinema next door, this spot is eclectic, invigorating and fresh — and so are the cocktails. The Summer in Gascony Slushee is one of Laszlo’s rotating slushies made with Tariquet Bas-Armagnac, mango purée, lemon and Angostura bitters. Throughout the summer, the slushies will rotate weekly. So, while this particular mix may not be available when you stop in, whichever icy blend you choose will surely hit the spot this season! 15 Romolo is one of our favorite spots in North Beach. They specialize in creative food and even more creative cocktails — whether you need a sweet treat with brunch or a fresh, sunny concoction. Rebujito is a spritely seasonal made with fino sherry, fresh mint, chilled seltzer, lemon and lime. Its refreshing taste pairs best with warm days and summer fun. But if you’re looking for a beachy beverage that will inspire you to lose sight of the shore, try the Catamaran! Cachaça Prata, aged rum, mango, lime, cream and Chinese five-spice make it ideal for relaxation. If you find yourself in NoPa, make sure to stop by Horsefeather. From the American craft decor to the artisan food and the well-executed cocktails this charming bar will quickly become one of your SF favorites. They’re celebrating summer with a spicy sipper — Red Rooster made with fresh pineapple, brown sugar, Ancho Reyes, riesling, soda water and Aperol. The spritzy base, hint of fruit and bite of spice make it one of the most interesting cocktails on our list! The Saratoga isn’t just a cocktail hotspot; they also serve up one of the best burgers in San Francisco! So, while you’re sipping a seasonal beverage or a regular concoction, be sure to order The Saratoga Burger and finish it off with the perfectly crispy Apple Hand Pie. The Free Trade Agreement cocktail has been a long-time favorite at The Saratoga, but the bright color and the flower garnish make it taste even better under the summer sun. 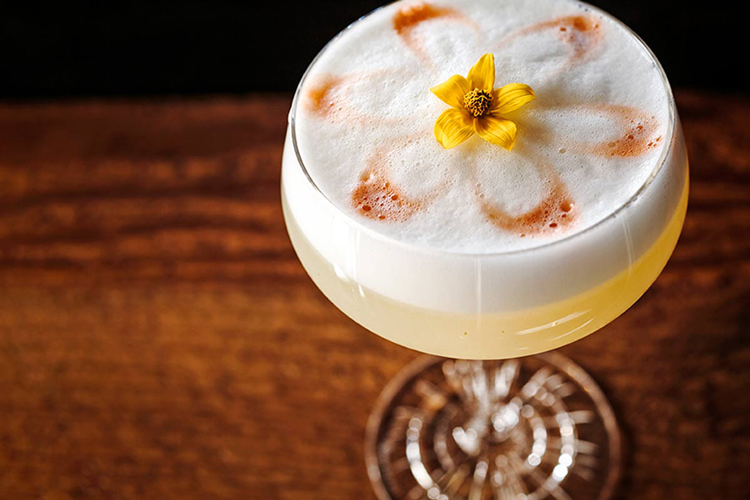 Made with Pisco, Cachaça, Singani, lemon, agave, egg white and bitters, it’ll soon become your go-to SF drink. Blackbird has become Castro’s neighborhood bar, welcoming locals and visitors alike with its stunning rustic decor. Whether you’re looking for craft beer, cocktails, wine by the glass or a game of pool, it’s a must-try in the city. During the summer, sip a Mr. Tojamura for a whiskey cocktail with a dark bite. Made with Toki Japanese Whisky, Leopold Bros. Green Apple, spring water and thyme, this beverage is carbonated and available on draft. Or, opt for a more classic summer sip with The Femme Fatale. There’s something about Reposado Tequila, Cappelletti Apertivo, spiced orange shrub and fresh lemon that says summer sun! 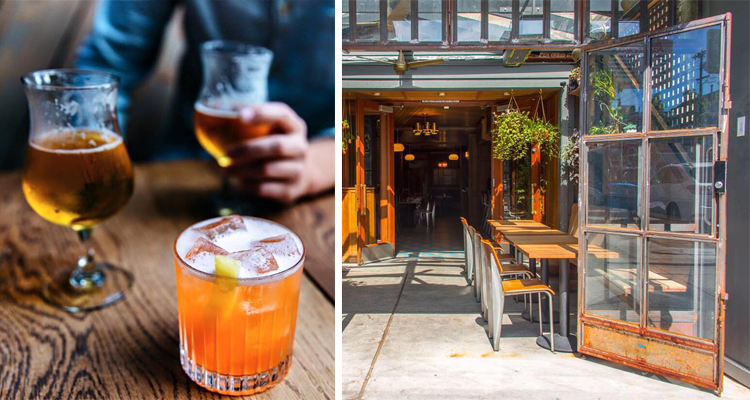 The Perennial is no secret in San Francisco. Their line-up of awards from the SF Chronicle, Bon Appetit, GQ, and Food & Wine paired with their passion for a positive food system make them a popular destination — whether you’re craving local foods or creative cocktails. Though Rhubarb has a short season in the Bay Area, The Perennial’s Rhuby Slipper makes it last. Fresh rhubarb, blood orange shrub and Cointreau create a strong taste you’ll want to sip again and again! 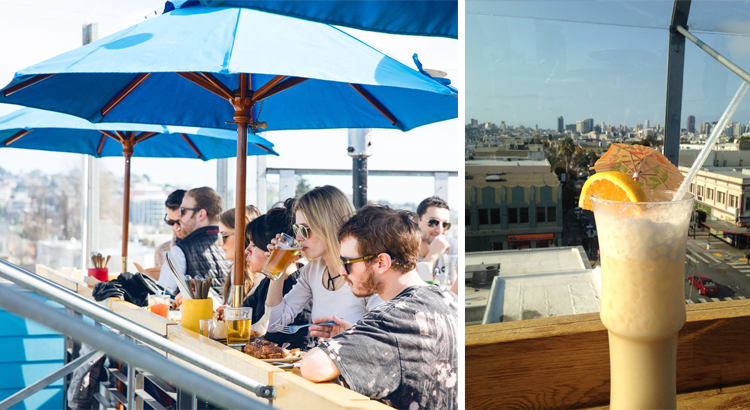 El Techo famously has one of the best rooftop patios in the city. They were also named on our list of the Bay Area’s best margaritas so it goes without saying they’re a must-visit during the summer months. If you’ve already tried the margarita, we suggest the equally festive Piña Colada! The signature El Techo rum blend mixes perfectly with coconut cream, pineapple, cinnamon and crushed ice for a refreshing and cooling cocktail. E&O Kitchen and Bar is a modern Asian restaurant and lounge in the heart of Union Square. Executive Chef Sharon Nahm serves up bold dishes with modern flair while the lounge offers a chance to enjoy shareable late night bites and famed cocktails. There’s something about tequila cocktails that make us crave summer and the Tequila Tamarind does not disappoint. Made with lime, tamarind and chili, a chili-salt rim is added for an extra kick! 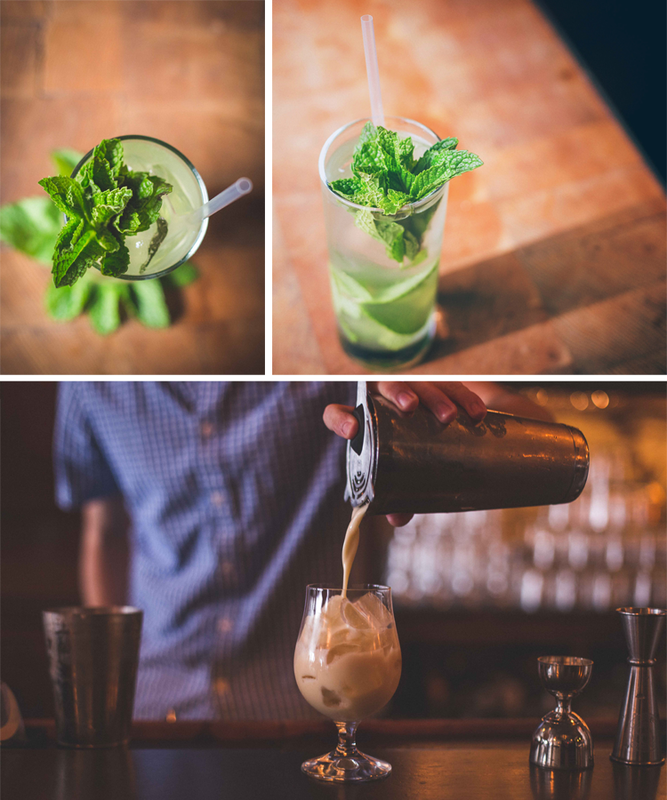 If we missed your favorite summer cocktail in SF, let us know in the comments below!